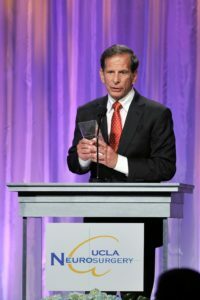 1979 – Heritage Provider Network (HDMG’s parent company), a recognized leader in healthcare for more than 30 years, was founded by Dr. Richard Merkin. Early 1980’s – Healthcare saw a significant increase in HMO interest, and in response to the growing demand, Dr. Merkin expanded services in a cooperative effort to assist California health plans in meeting and resolving their clinical challenges. 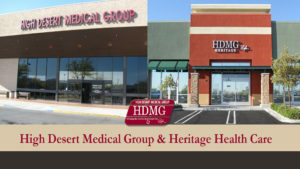 1981 – High Desert Medical Group was established as a multi-specialty medical group. 1986 – Hertitage Health Care was established as an HDMG satellite, located in Palmdale. 1991 – 1st Senior Expo featuring guest celebrity, Louis Zamperini. 2008 – HDMG extended its Urgent Care Center’s hours to 24 hours a day, 365 days a year. October – 27th Annual Senior Expo, attracting over 7,000 seniors and offering over 100 vendor booths, free health screenings, free flu shots, live entertainment, the Senior of the Year Award, the Veterans Community Service Award, and a celebrity guest appearance.